The ND8301 is an 8-CH Network Video Recorder designed for sophisticated recording applications. The unit is equipped with an Intel Dual-core Atom Processor with maximum recording throughput at a robust 96 Mbps. RAID 0/1 is supported with two removable HDDs for backup efficiency, with an external eSATA port for additional expansion. A first desktop type for the VIVOTEK NVR series, a local display output port is now available with full HD resolution (1920X1080), eliminating the need for a separate PC to view video from the unit. Setup of parameters such as IP, HDD, and basic camera configuration can easily be performed with the setup wizard, making the ND8301 the easiest NVR to use yet. When connecting ND8301 to more than one of the same model of VIVOTEK camera, the "Shepherd" program can be used to duplicate configuration settings to multiple cameras. The operating system in ND8301 is VIVOTEK's professional central management software VAST, allowing for simple and effective management of a surveillance system using the LiveClient and Playback programs. As VIVOTEK's camera features are fully integrated into VAST, cutting-edge technologies such as SVC and Activity Adaptive Recording can be utilized to conserve bandwidth and optimize recording. A CMS server running VAST software can also directly control the ND8301 (VAST CMS support will be ready in 2013. ), and compatibility with the iViewer application allows for remote access to the ND8301 on handheld devices. 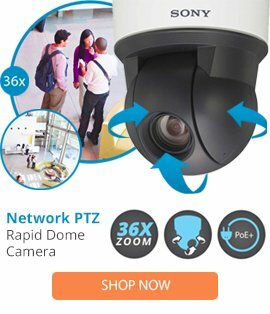 By integrating all of the components together using VIVOTEK's ND8301, network cameras, VAST and iViewer software, users can realize a fully-featured and robust next-generation surveillance system.